No One seems to have these in stock??? Where can I purchase these? Please advise….Thanks!! Have you tried Mister Safety Shoes? If you still have difficulty let us know. Thanks. I can’t find these boots either.. So sorry missed your comment. Mister Safety does carry 446049 and should be able to order it to the location closest to you. 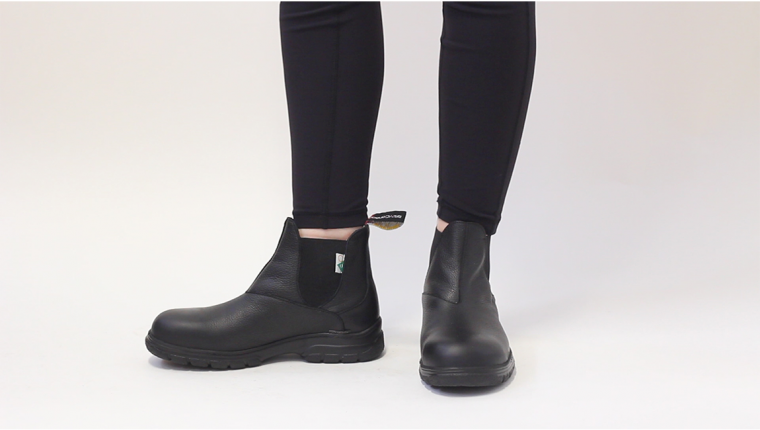 If you have trouble locating we would be happy to ship you a pair from the factory. Please email us at orders@mellowwalk.com. Thanks. Would you be able to give me and idea of the cost of this boot? The photo displays our older styling so if you do order you may want to make sure it is the new 446049. Thanks, you can email us at feedback@mellowwalk.com if you need more help. Will these ever come in brown? They are my favorite boots, but I’m not a fan of black. I would rather these in brown then the blundstones. Glad you are enjoying the boots. We are talking about a brown leather version so hopefully for 2016. They are so comfortable, I forget they are steel-toe. I’d love to get them in brown too if you would make them. Hi Allyson, thanks for the great feedback. A brown version is on our radar. Hi! Is the brown color available now? Also does this pair of boots come in with a smoother texture (I mean without the grains as seen in picture)? Sorry, at moment we are only making the 446049 in black. The leather does have some grain to it. Thanks for your question. How high are the ankles?. I need a minimum 6 inches high ankle boot. Thanks. Yes 446049 is a 6 inch boot. Thanks for the question. How is the fit of the boot? ie. What size in sneakers is the 5.5 comparable to? Great question. While not easy to compare sizing and fit to running shoes, I would say our sizing would be accurate within a half-size. For example our 5.5 would be either a 5.5 or 6 in a running shoe. Best to try on a pair if you have a chance. Thanks. I find the boots slightly smaller than actual size. I am usually an 8 but needed an 8.5. I found brown ones at Factory Shoe and I fell in love with them (even more than the blundstones which I was originally going to buy). They’re a beautiful nubuck leather. Only problem is that the brown doesn’t come in half sizes!!! I ended up having to get the black ones in an 8.5 at a different store. While the width of the 8 was perfect for my narrow feet I find the 8.5 slightly too wide and have to put insoles in them so they don’t slop around. I really hope you start producing the brown permanently and in half sizes. I would have paid double the price for them in the correct size. The black leather is too shiny, and it completely changes the look of the boots. The nubuk is much nicer, a black nubuck would be nice as well. Thanks for your feedback and I will pass your comments along to our team here. It may be as simple as the customer either not ordering half sizes from us or was out of stock. Thanks for writing. Met one girl wearing these boots. Fell in love instantly with the boots. The girl had great things to say about her pair. But I’m unable to see similar style in men. Too bad! Do you have them? If not, can I buy and wear the women one?!!!!! Don’t exactly know the difference though. I’m size 8.5. I’m glad you like our double-gore boot. We do have a men’s version available from Factory Shoe . 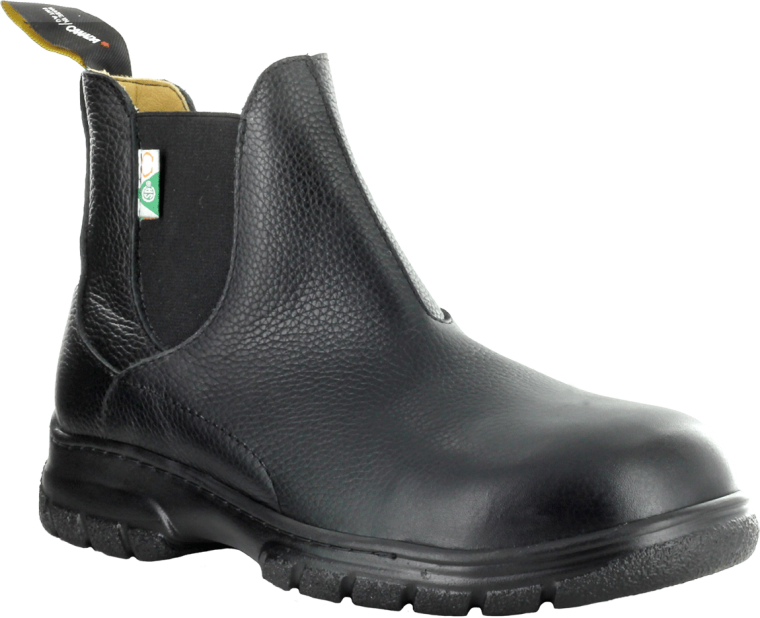 The boot is a unisex style so if you wish to try on a pair of 446049 I would recommend 10.5. It is available from a number of retailers including Factory Shoe, Mister Safety Shoes and Work Authority. Thanks. 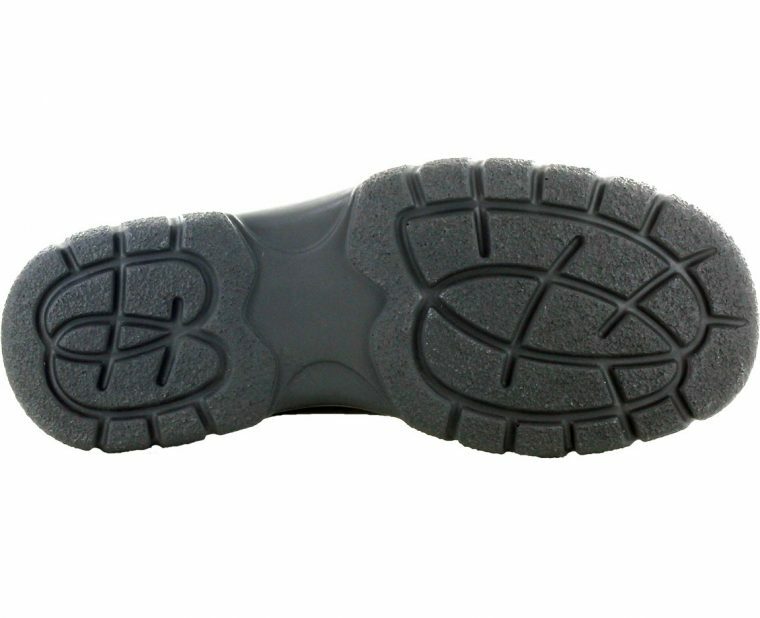 All Mellow Walk safety shoes are tested to the CSA slip resistance standard. The test results are posted right on the product page https://www.mellowwalk.com/shoes/maddy-446049/ If you need more information please feel free to ask. Thanks.